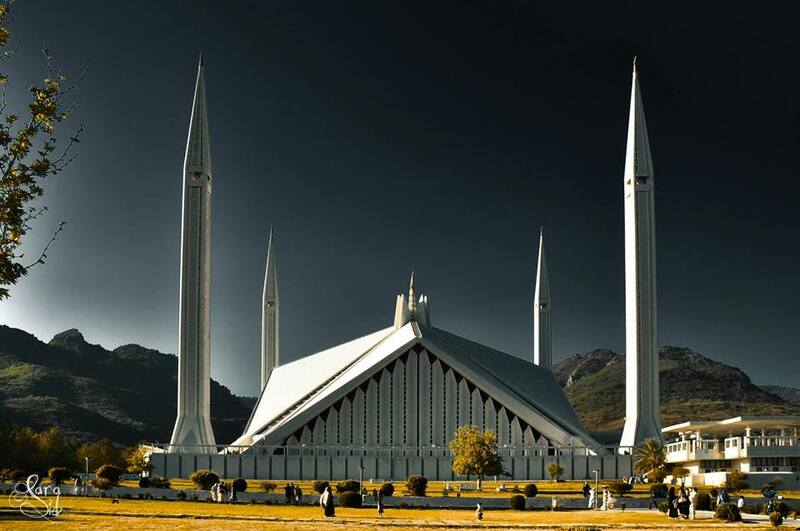 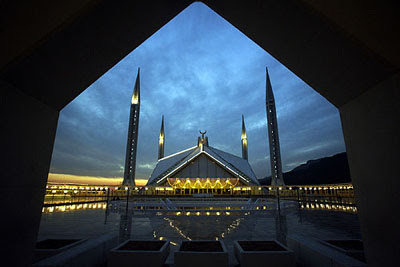 There is no other landmark that has honour to be the iconic symbol of Islamabad than Faisal Mosque. 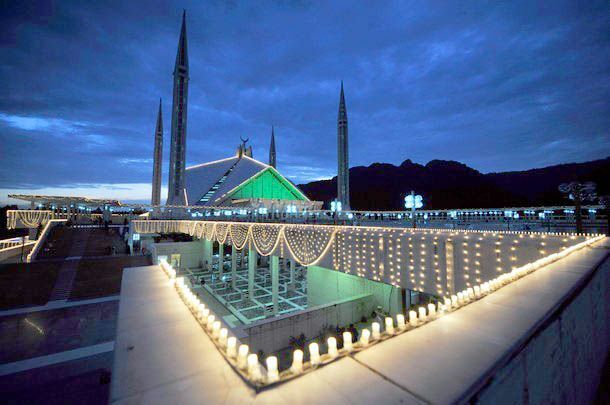 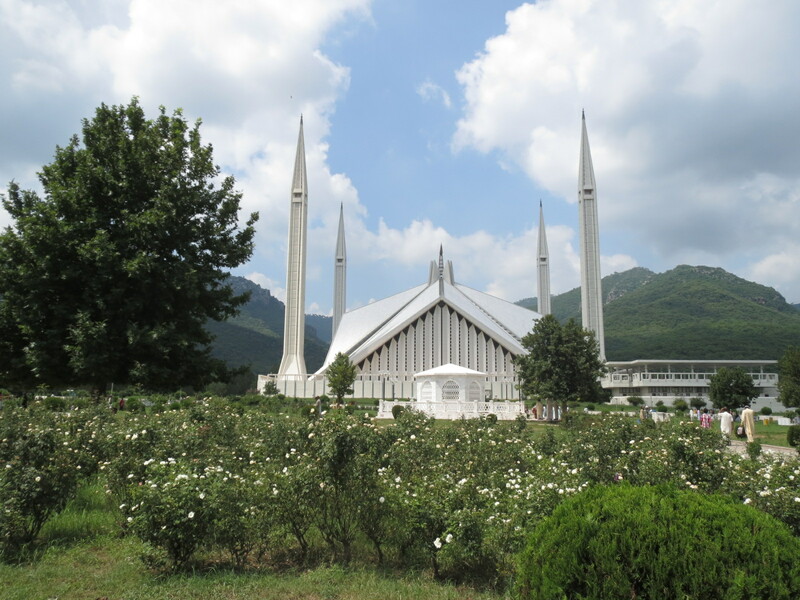 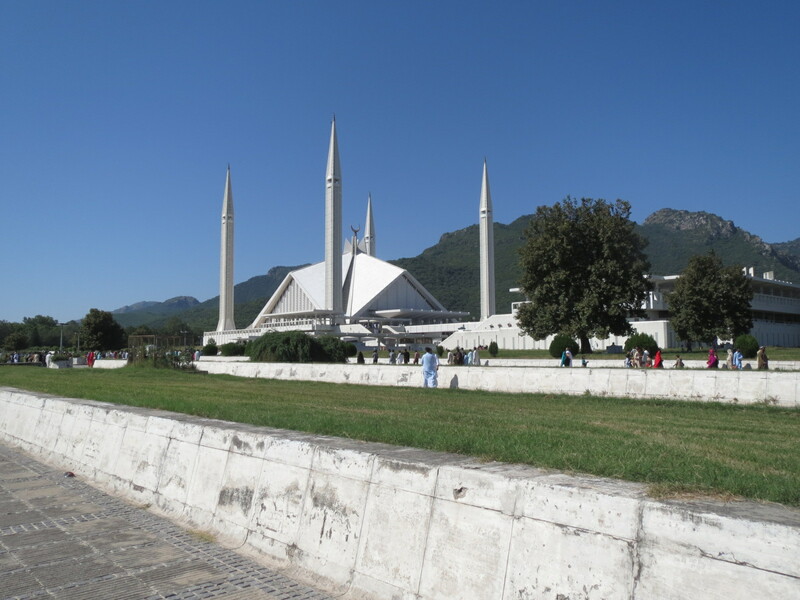 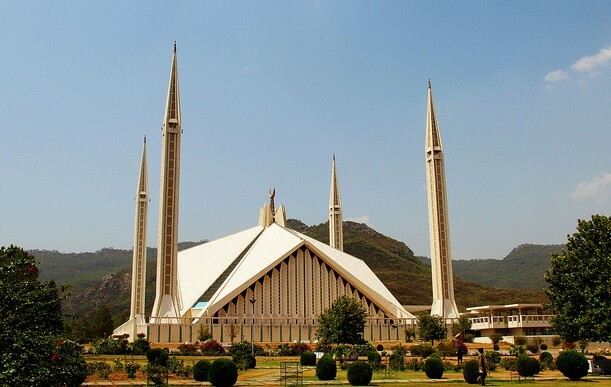 Completed in 1986, Faisal Mosque (also known as Shah Faisal Masjid) is one of the largest mosques in the world, located at the foot of Margalla Hills. 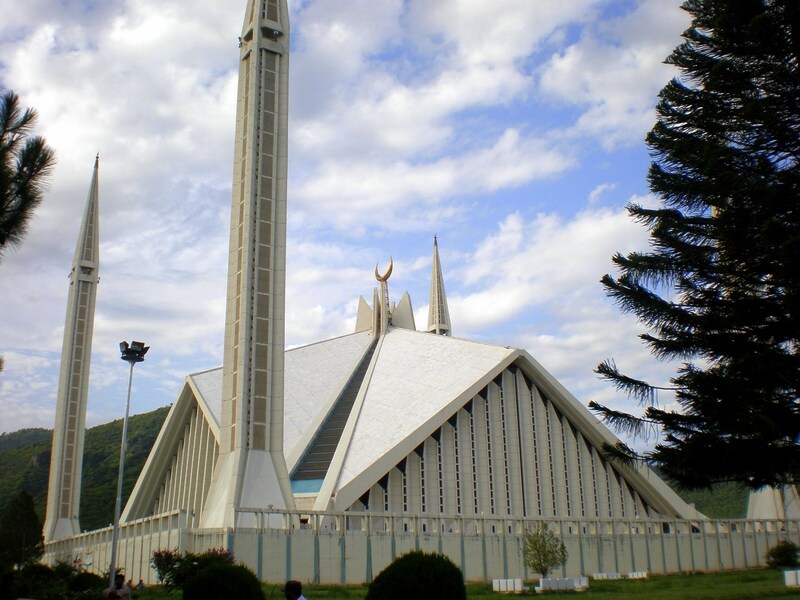 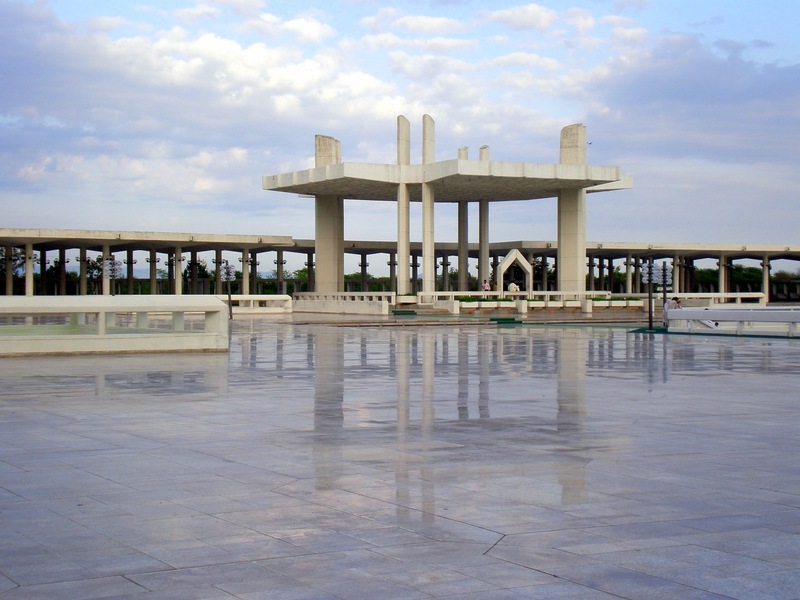 The exceptionally huge and unique mosque of Islamabad is designed by a Turkish architect Vedat Dalokay. 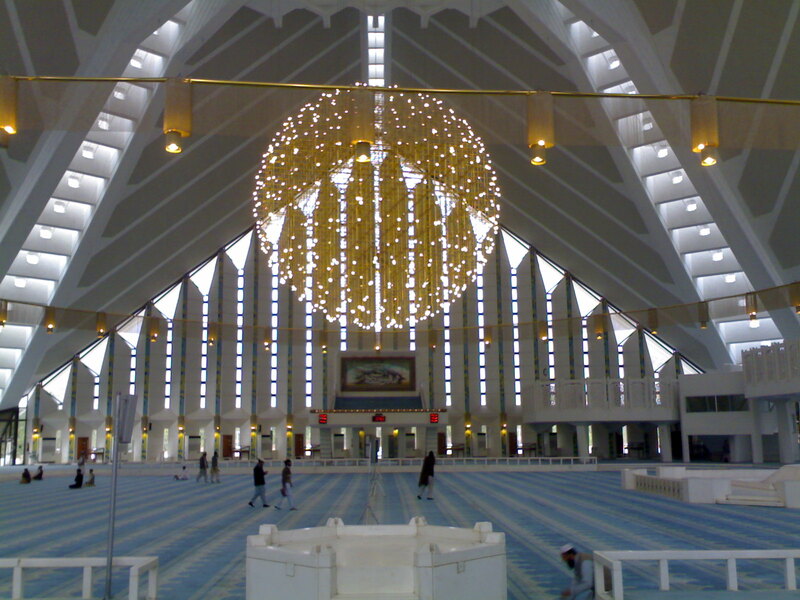 The architecture of the mosque is unusually remarkable and is a unique addition to Islamic architecture, fusing contemporary designs with a more traditional look of an Arab Bedouin’s tent, with its large triangular prayer hall and four minarets. 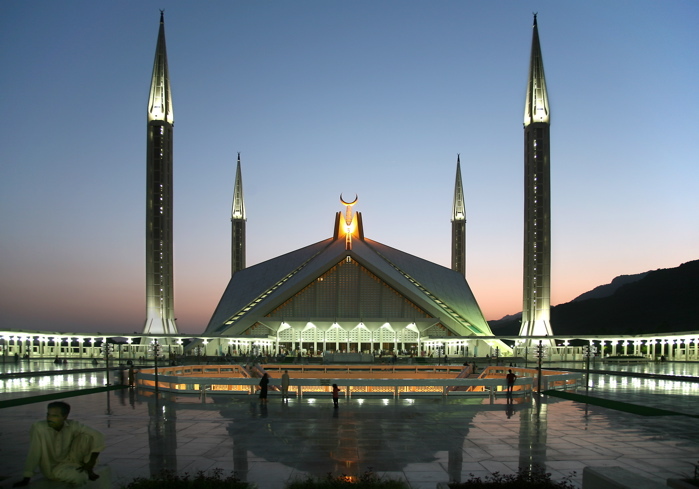 Unnlike traditional masjid design, it lacks a dome and the minarets borrow their design from Turkish tradition and are thin and pencil like. 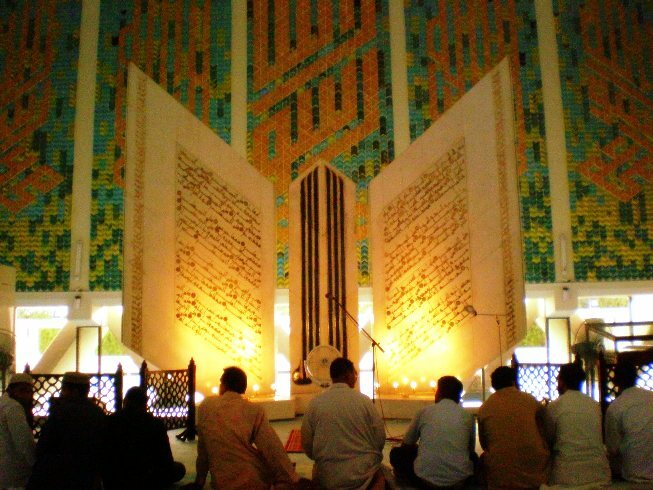 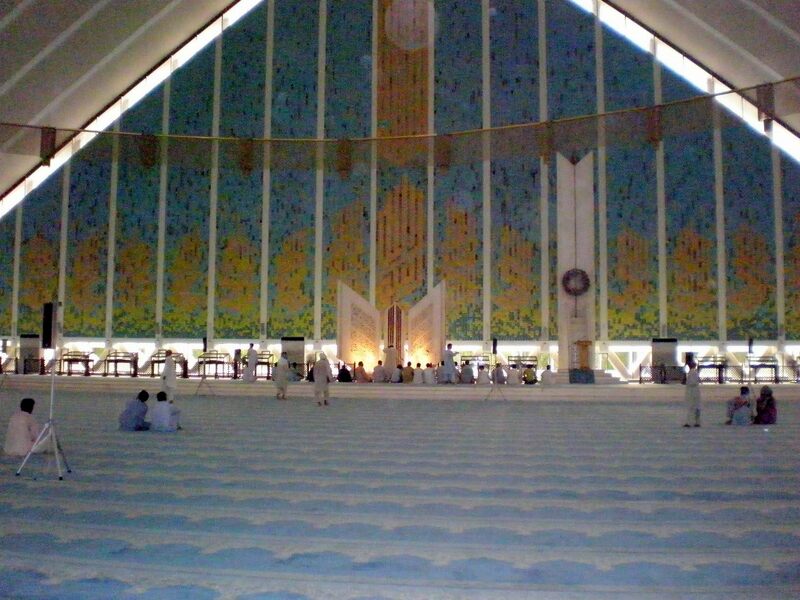 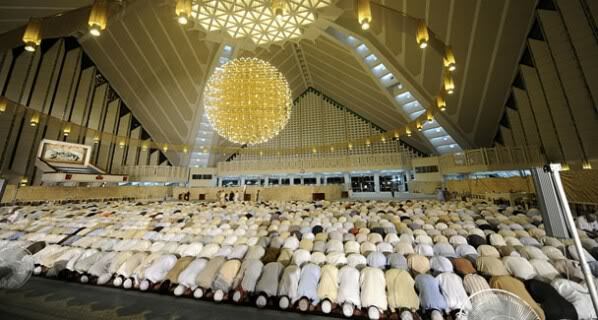 The Faisal Mosque covers an area of 54,000 sq ft and can accommodate 10,000 worshipers in its main prayer hall.